Here’s something to do with retired 25mm slings (am I showing my age in having 25mm tape to retire?). Cut it to short lengths, melt seal the ends in an open position and slide the tube over your rope, I use it on 11mm static line in top-rope anchors. 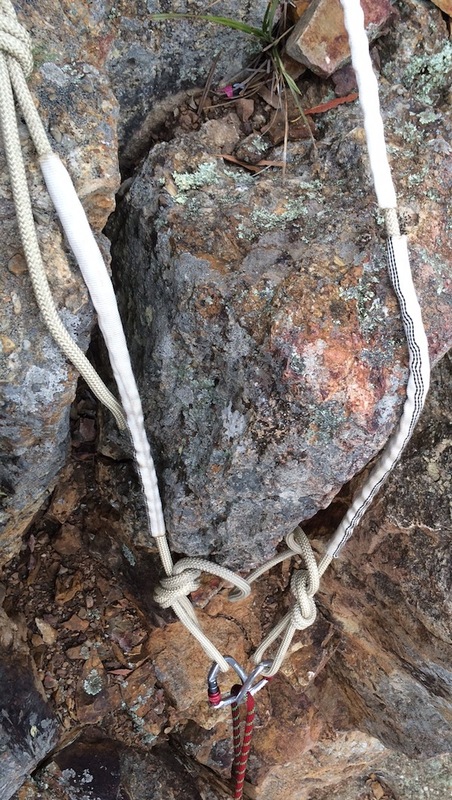 Handy in that you slide it along to the spot that’s going to chew at your rope in each set-up. Small sections that move around are good so you get to keep an eye on the rope underneath.